LYNNWOOD — There are plenty of things men in their early to mid-20s can do with their spare time. Spending hundreds of hours at the public library analyzing basketball games from 50 years ago using microfilm and microfiche is not usually at the top of that list. But not everyone has the same pride in community or the same work ethic that Meadowdale boys basketball coach Roger O’Neill and former Meadowdale assistant coach Paul Werner have. 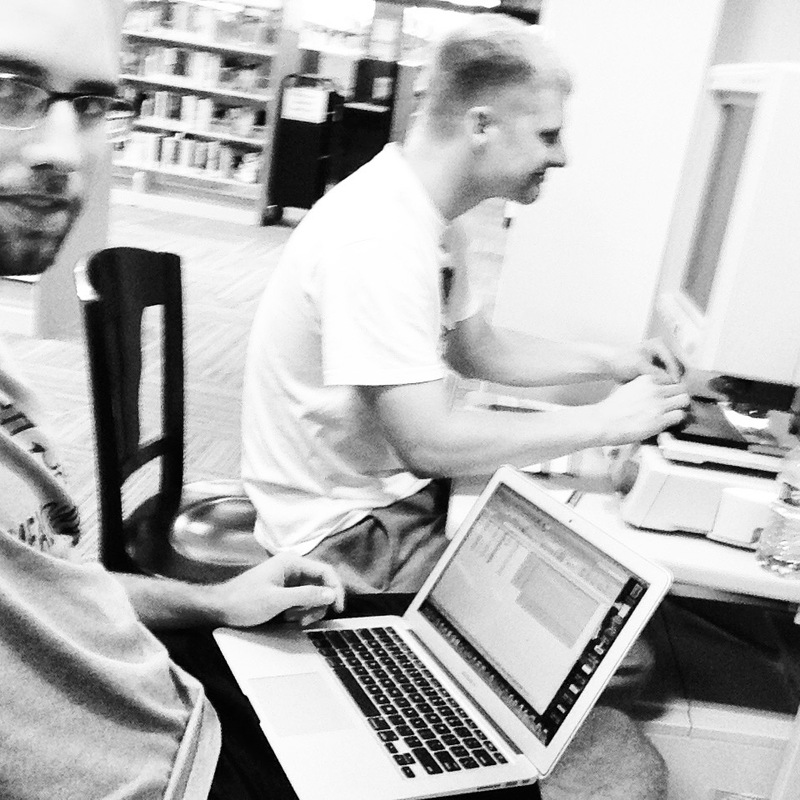 After realizing that the Meadowdale boys basketball all-time record books were incomplete, O’Neill and Werner took on a project in the summer of 2014 to track down statistics from every Meadowdale game ever played. Two years later, they’ve nearly accomplished their goal. The website, www.meadowdalehoops.com, went live earlier this year. Among other things, it tracks game-by-game progress throughout each season since the school opened in 1963, career scoring stats, single-season scoring stats and single-game scoring stats. When O’Neill and Werner, who both also played at Meadowdale, were coaching JV together in 2014, a record board existed in the gymnasium, but it only tracked stats from 1999 when the school changed its name from Chiefs to Mavericks. O’Neill and Werner discussed tracking down a more in-depth history dating back to the year the school opened in 1963. O’Neill and Werner realized the best way to accomplish their goal would be to track down box scores and stories from every game ever played in the newspaper. The Lynnwood public library had microfilm and microfiche copies of The Herald dating back to 1985, so the two went to work. McGuire wasn’t surprised to see the duo take on such an extensive project. “It’s pretty impressive,” McGuire said. “It doesn’t surprise me at all. Roger, he’s always been that way. He just gets really, really focused and he’s very intelligent. When you combine those two, you get things like that website. O’Neill and Werner worked backwards from present day and got through about 30 years of games in their first year working on the project. Then things became more challenging. They moved their search to the Everett Public Library, which had records of The Herald from before 1985. Once O’Neill and Werner had a system, most of the games proved to be easy to find and a season could be done in a matter of hours — but not all of the games. And most of the time, they did. When O’Neill contacted Bill Hull, the son of Phil Hull, who was the first coach in Meadowdale history, it proved to be a breakthrough. Bill Hull provided O’Neill with four scrapbooks his mother had made for his father, which had newspaper clippings from all of the early years of the program. Thanks to those books, O’Neill and Werner were able to eliminate the time of searching for those early years. They came across the school-record holder for most points in a single game while tracking the 1973-74 season. Gary Morgan’s record of 38 points in Meadowdale’s second meeting of the season against Seattle Prep still stands today. Morgan wasn’t known as a big-time scorer, but on Feb. 2, 1974, things just went his way. Until O’Neill and Werner launched their website, Morgan wasn’t recognized publicly for his record, but he knew it was still intact. While Morgan knew his record still stood, he was surprised to see so many other older Meadowdale alums still high on the all-time list. Of the seven top scoring games in school history, six were from 1978 or prior. Morgan’s story was just one of many that came to life during the project. O’Neill said he and Werner would find themselves invested in seasons decades before they were born as they continued their research. By the time they were done, O’Neill and Werner had tracked down box scores from 1,131 of the 1,146 games played in Meadowdale’s history. “Roger and I both have the foundation of high school basketball being a community-centered event,” Werner said. “There’s pride in playing for a high school team and representing the history of the school and representing the community around the school. We were hopeful that this thing would energize former players — and I think it did. Aaron Lommers covers prep sports for The Herald. Follow him on Twitter at @aaronlommers and contact him at alommers@heraldnet.com.